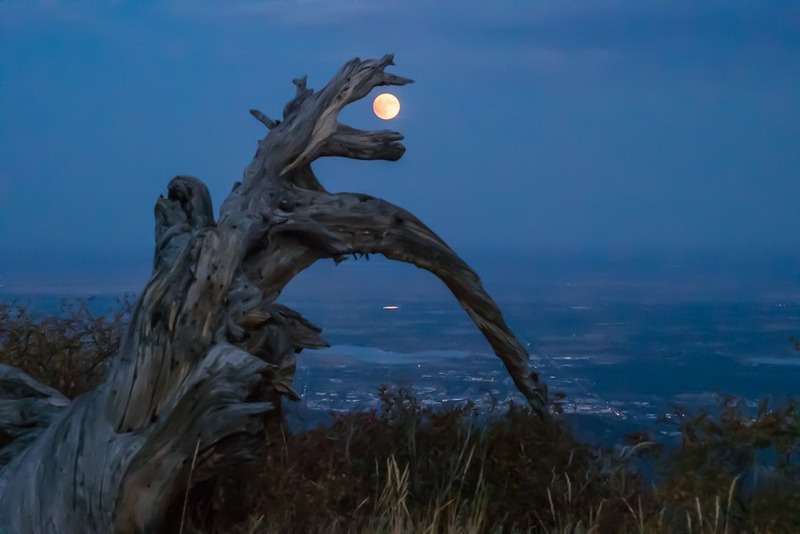 We went for a hike to the top of Sugarloaf Mountain in Colorado Rockies to see the sunset and then rise of the blood moon over the Colorado prairies. Sunset was ok, not the most spectacular on that night. The moon as first didn’t want to show its face either, with the clouds on the horizon blocking its initial rise, but then it showed up for good 5-10 minutes before being taken back by the clouds. 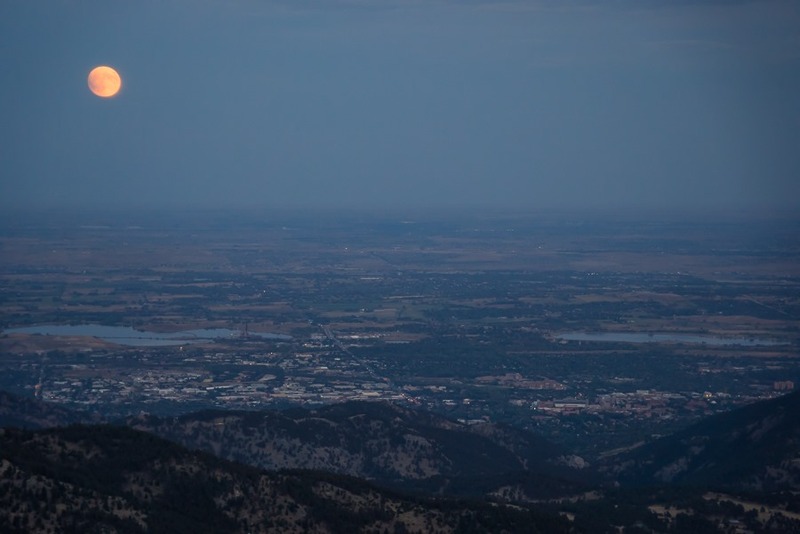 City of Boulder is right under us, looks fairly close, but it’s a good 30 minutes drive from the parking at the Sugarloaf Mountain to the city limits at Boulder Canyon. This entry was posted in Boulder, Colorado and tagged Sugarloaf Mountain. Bookmark the permalink. What fabulous shots! Is that the moon’s reflection in water in the dragon shot? Nice images! I really like the mood of the first one.